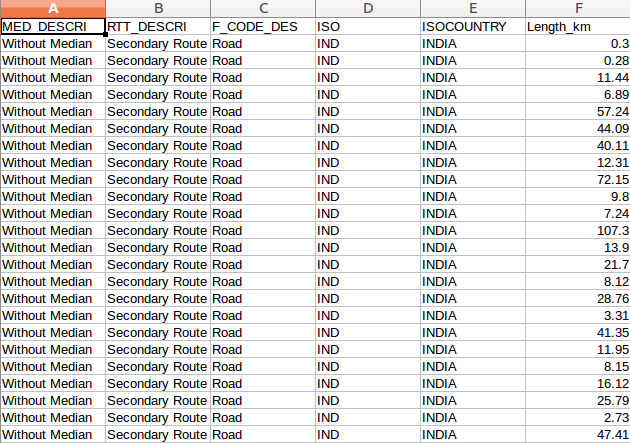 Shape file to ODS (Open Document Spreadsheet) conversion is required when you only need non spatial information i.e. only attribute information. This conversion need ogr2ogr utility. Or you may also you any other tool to convert shp to ods easily. An ODS (Open Document Spreadsheet) file is a spreadsheet. It stores data in cells that are organized into rows and columns. ODS files are formatted using the OASIS Open Document XML-based standard. Whereas shape files are collection of geometry with non spatial data as attributes. 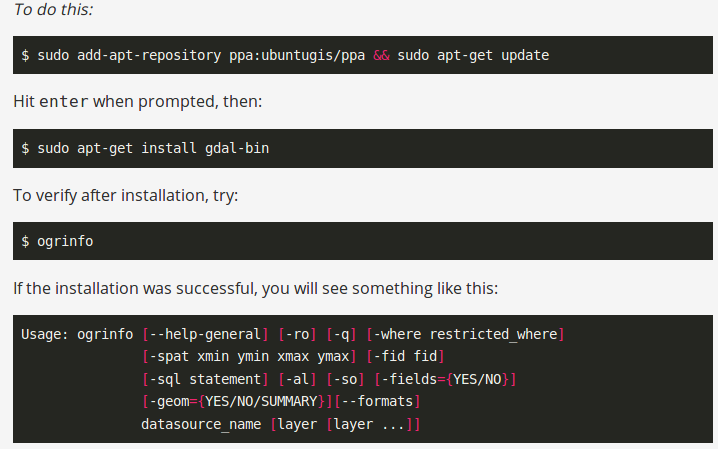 To install ogr2ogr utility you can follow the given lines of command. 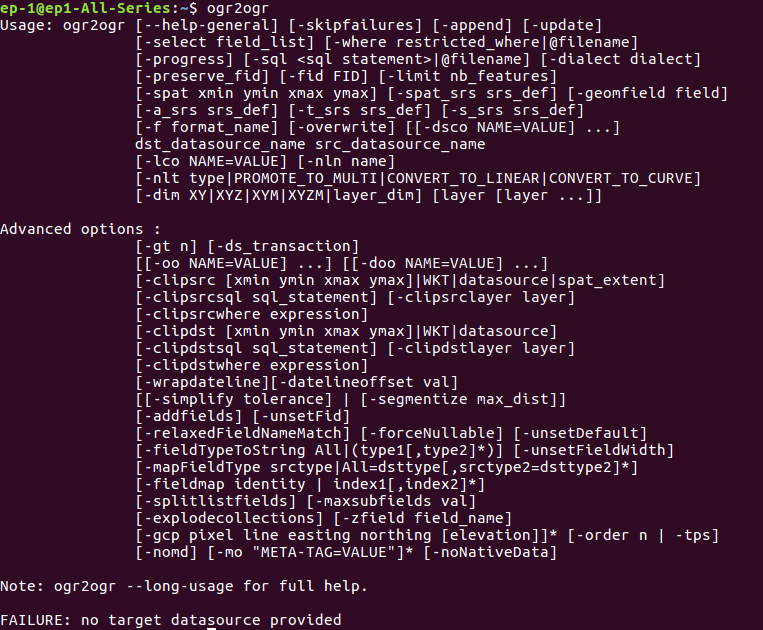 Then check for presence of ogr2ogr utility by typing ogr2ogr in your terminal. Here, in the command -f is the option for file format. All the supported file (.shx, .prj and .dbf etc.) should be kept together while performing any conversion. You can use any programming language to convert between shapefile to ods, if you know the format of shapefile and ods file. I have created one such minimum example of code to find the minimum bounding box of shapefile with c++ programming lanauage. Below is the php code. You may also be interested in knowing how to convert shapefile to kml, shp to gml, shapefile to csv, shapefile to geojson, shapefile to topojson etc. Hope this post is helpful for you to convert shp to ods document. 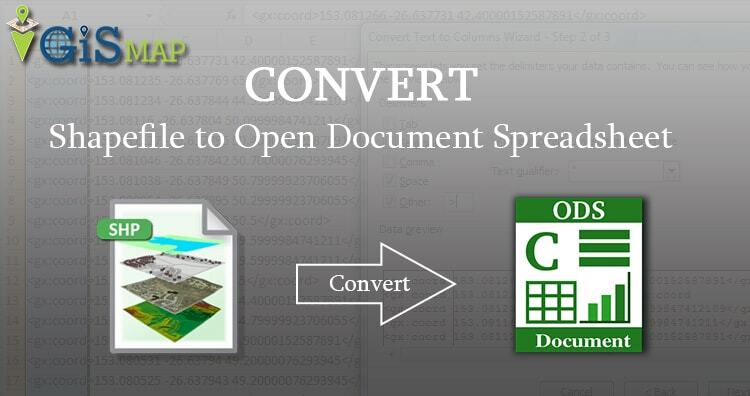 If you find any difficulty in implementing the conversion of shapefile to open document spreadsheet, let you know by commenting below in the box provided.